Further to the communication issued last evening regarding the cancellation of exams for Thursday, April, 11th , this message provides additional information about the schedule for rescheduled exams and the options available to students through the petition process. All exams, including on-line and ALC exams, that were scheduled for Thursday, April 11th have been rescheduled to Sunday, April 14th. The schedule and location of these exams is exactly as described in the exam timetable which can be found at https://students.wlu.ca/academics/exams/exam-schedules/index.html. Students writing with the Accessible Learning Centre should confirm their schedule with their consultant. The University recognizes that not all students will be able to write the rescheduled exam on April 14th. In such cases students are directed to petition to defer the exam and may do so through the following link, https://students.wlu.ca/academics/exams/deferred-exams.html. Please note that all petitions must be directed to the Faculty in which the course is offered. Normal Faculty processes for consideration of and processing of deferred exams with respect to medical and religious observances will remain in effect. Given the nature of this change to the exam schedule, other reasons may be accepted for exam deferral, with appropriate documentation. Those seeking a deferral for exams now scheduled for April 14th must submit the petition no later than 8:30 a.m. on Monday, April 22nd to the program office of the Faculty hosting the course. The University has designated Monday, April 29th (for Waterloo campus students) and Tuesday, April 30th (for Brantford campus students) as the designated slip days for exams deferred from April 14th. ‘Slip days’ is a term that refers to a faculty-designated period for deferred exams to be written outside of the regularly scheduled deferred exam period. Students will be informed of the result of their petition by no later than April 26th. Please note that the normal deferred exam period from May 27 – June 1 remains in effect for all exams scheduled on any day other than April 14th. Specific questions regarding exams on the Waterloo campus can be emailed to finalexams@wlu.ca. Inquiries concerning exams on the Brantford campus can be directed to lbexams@wlu.ca. Internet access has been restored to all campuses of Wilfrid Laurier University following a network outage at the Toronto facility of network provider ORION. All exams scheduled for this evening, Wed., April 10, will proceed as scheduled. All exams scheduled for tomorrow, Thursday, April 11, will be rescheduled to Sunday, April 14 at the same time and location as originally scheduled. We realize that today’s internet outage has created an unfortunate situation for many students and faculty at Laurier and other institutions, and that it puts students and faculty in a challenging situation. 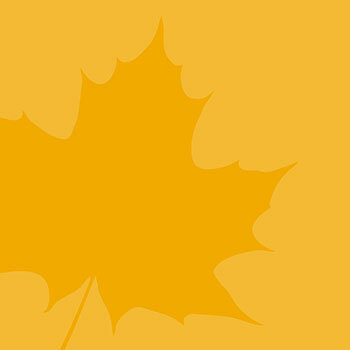 Information about academic appeals can be found on the Laurier website. Additional information about exam regulations can be found on the student website and in the Academic Calendar. Specific questions regarding exams on the Waterloo campus can be emailed to finalexams@wlu.ca. Specific questions regarding exams on the Brantford campus can be emailed to lbexams@wlu.ca.